Today, everyplace is a workplace. Due to the constantly changing landscape of work, often our own offices can be as inconvenient, uninviting and distracting as anyplace else. Corner Office is designed to enhance the flexibility and efficiency of today’s open plan workplace by defining personal space in these dynamic environments. Corner Office contributes to motivation, efficiency and well-being; providing visual privacy, sound reduction, task lighting, and desktop power. 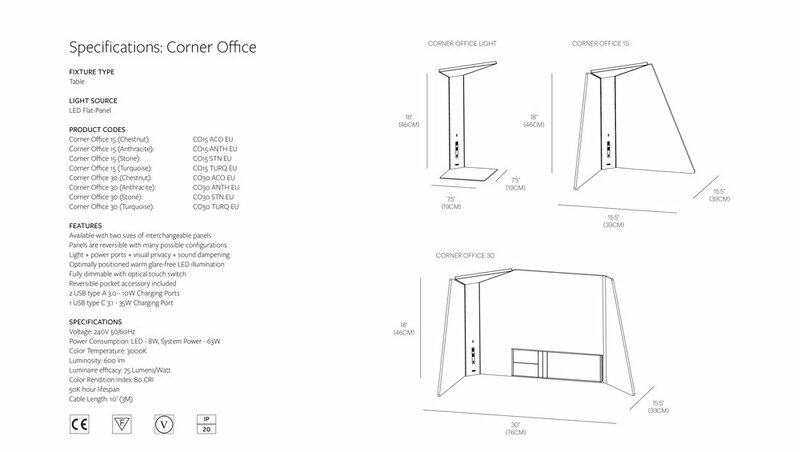 Corner Office represents a new type of product for productivity. Corner office systemic and flexible, offering various degrees of privacy and power provision. Corner office is systemic and flexible, offering various degrees of privacy and power provision. 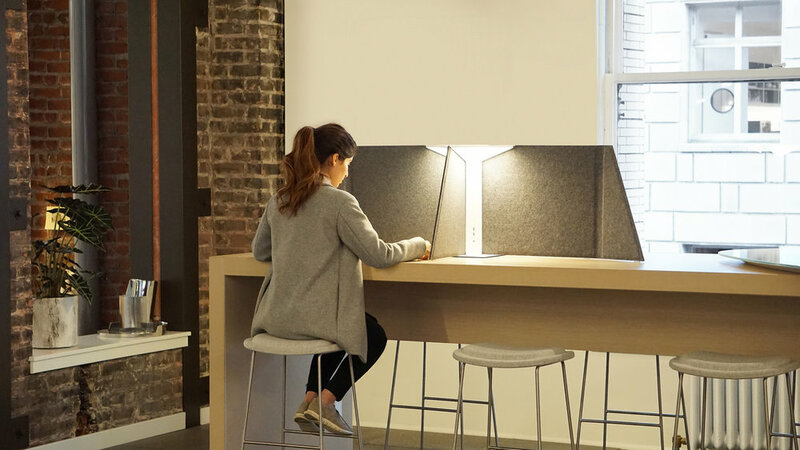 The system comprises three elements: a glare-free, fully dimmable LED corner task light that incorporates power ports featured in its armature; a set of optional acoustic deterrent fabric panels; and an optional pocket accessory that provides a place to store a phone or tablet, keeping things clutter-free. Easily reconfigurable, the system is light weight and easy to assemble and install.